I am watching the Udder Rock buoy further up the coast. 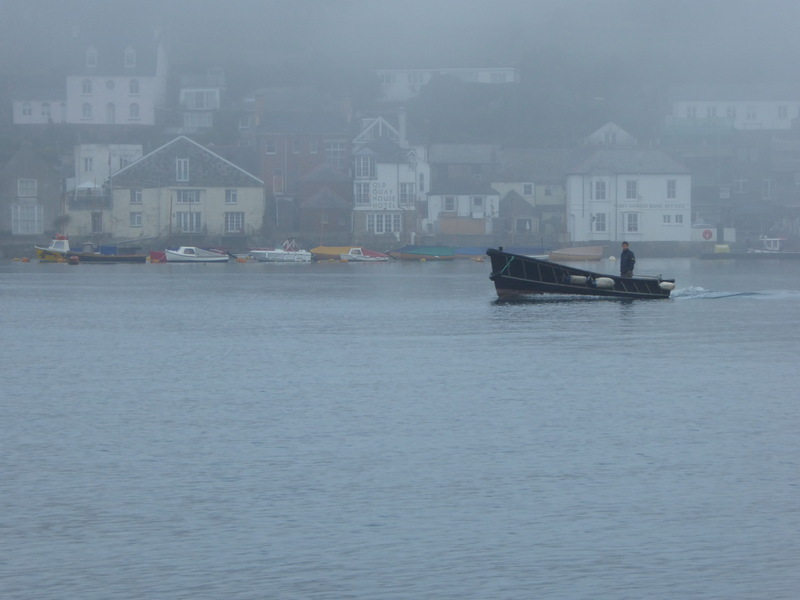 The tide is taking us inshore and I head further out to sea to stay to the seaward of it. This is the third day of this trip, finally a day of wind, sea and sail. The cloud cover is still low, clinging to the tops of the cliffs. There are no other boats visible and, despite being close to the shore. I can see no one on the coast path. 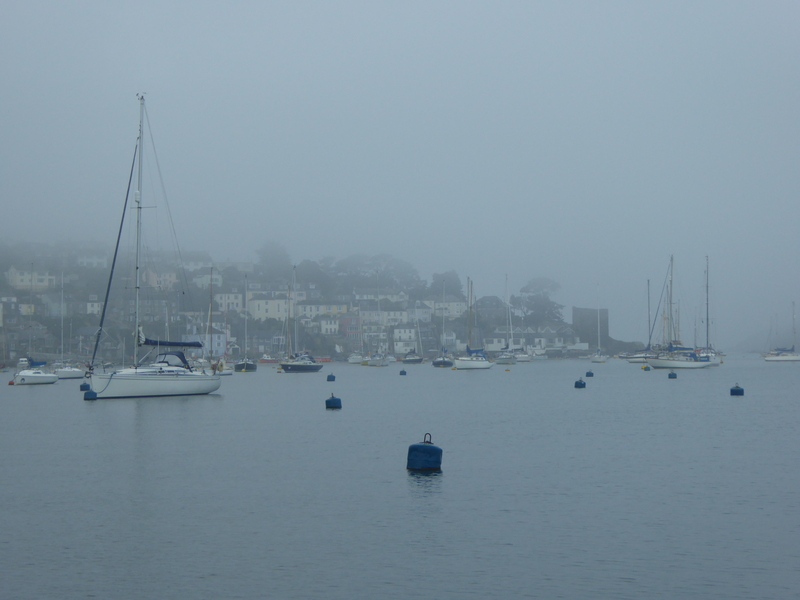 The early mist had given the harbour a silent, closed feel. I rowed to Toms Boatyard for fuel. There was a trawler on the slip, welders flashing. Three others were docked, crews busy on all of them. The activity is pleasing. 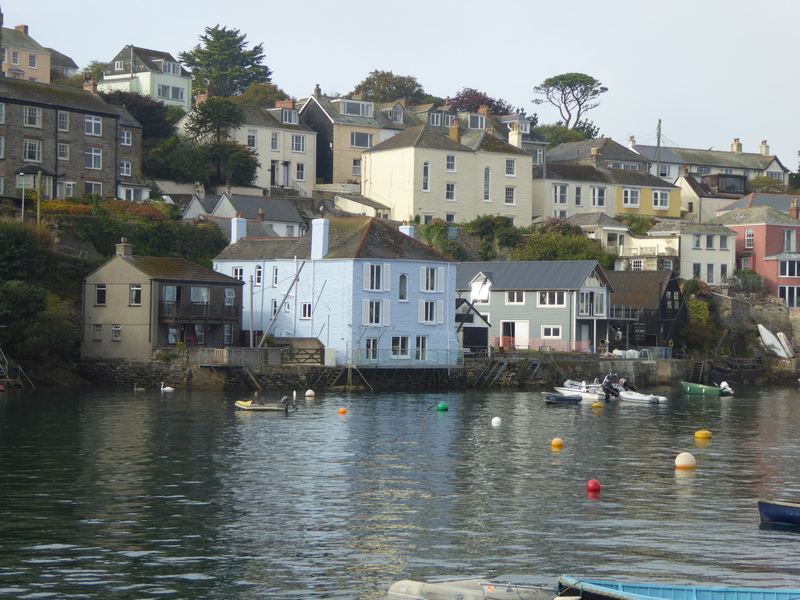 Polruan has become a village of second-homes. It falls quiet in the winter. Here is the sign that there is new life as well as old – people are working. Back on the boat, I glance at the coast. 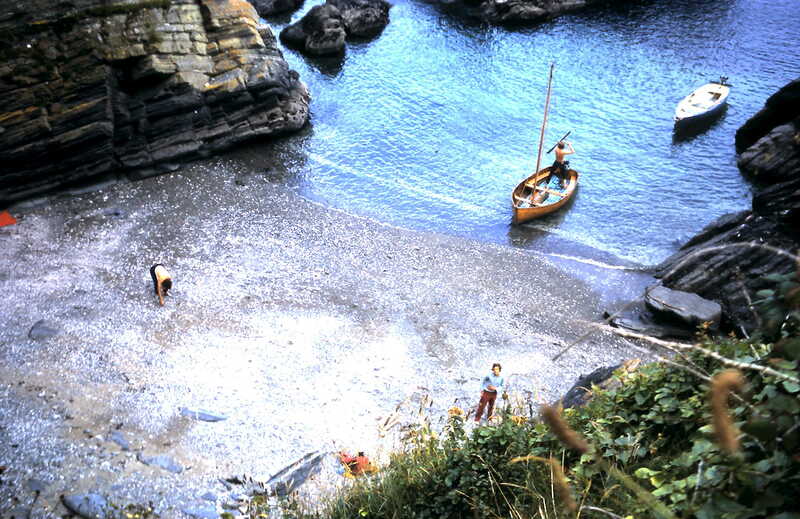 We are off Lantic Bay and I recognise a cove in the bay that I haven’t thought of for fifty years. Two sometimes three families on holiday together, weather allowing, we visited this cove in those two boats every year from when I was twelve to when I was seventeen (and then they came for a few years without me). It was an innocent and naive time in my life – most definitely naive! I am enjoying the sail this morning and it’s a complete coincidence that I noticed the cove at all. I am struck by how important this seems to me. Memories flood back. I have an “if I knew then what I know now . . .” moment. People continually say that the old days were better than today. I don’t think that’s so. We remember them with varying degrees of fondness because they happened at significant times in our lives – perhaps from the impact of a particular event or maybe a life change – a rite of passage. The good times we remember and although the passing of time doesn’t wipe out the bad times, it does soften them. Today I am better informed, perhaps over-informed, and much less innocent because of it, but still naive from lack of certain types of experience that I now miss. For every generation, rites of passage are the trials of life. We grow on the journey. Physiological rites of passage occur naturally as we age but experiential rites of passage appear more or less randomly. Whether we actually experience them or not is a personal matter and depends very much on the opportunities open to us. I speak from personal experience when I say that it’s very easy to miss those opportunities when we are young and it becomes more difficult to create them when we grow older. We have to try harder. The result’s not always pretty! We reach the bell buoy – comfortably to seaward. In the slight swell, the heavy hammers of the bell clang in a slow, regular beat while, with the wind increasing, the flags on the lobster pot buoys wave cheerfully as Blue Mistress sweeps past. It’s a good day. Pingback: The wider world is never far away | Beyond Steeple Point . . .